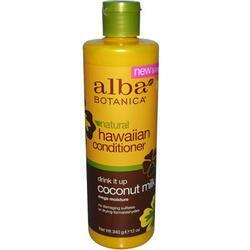 This Extra-Rich, Nourishing Conditioner Restores Moisture And Softness To Dry Hair. Aloe And Coconut Milk Moisturize While Tropical Nut Oils Protect And Repair. Enriched With Shine-Enhancing Awapuhi For Silky, Healthy, Manageable Hair.